The Asian barred owlet (Glaucidium cuculoides) belongs to the family Strigidae under the order Strigiformes. The family Strigidae was first described by William Elford Leach, MD, FRS (2 February 1791 – 25 August 1836), an English zoologist and marine biologist, in the year 1820. 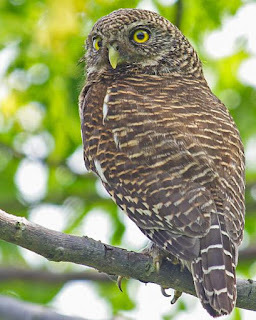 The Strigidae is a large family comprises around 189 living species in 25 genera. 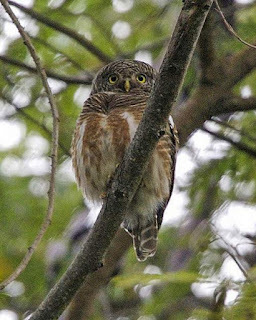 The genus Glaucidium comprises 31 species of owls which are mostly small. The genus Glaucidium was first described by Friedrich Boie (4 June 1789 – 3 March 1870), a German entomologist, herpetologist, ornithologist, and lawyer, in the year 1826. 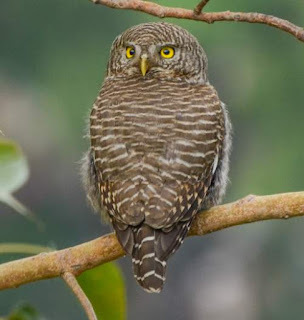 The species Glaucidium cuculoides was first described by Nicholas Aylward Vigors (1785 – 26 October 1840), an Irish zoologist and politician, in the year 1831. 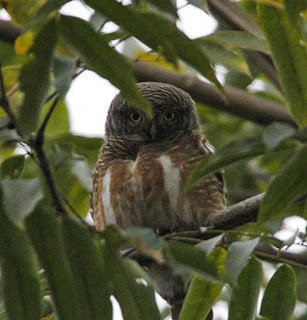 The eight recognized subspecies are: G. c. cuculoides (Vigors, 1831), G. c. deignani Ripley, 1948, G. c. austerum Ripley, 1948, G. c. delacouri Ripley, 1948, G. c. rufescens E. C. S. Baker, 1926, G. c. bruegeli (Parrot, 1908), G. c. whiteleyi (Blyth, 1867) and G. c. persimile E. J. O. Hartert, 1910. 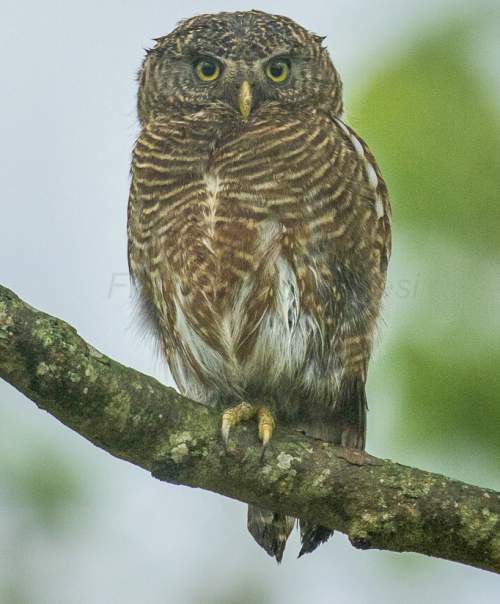 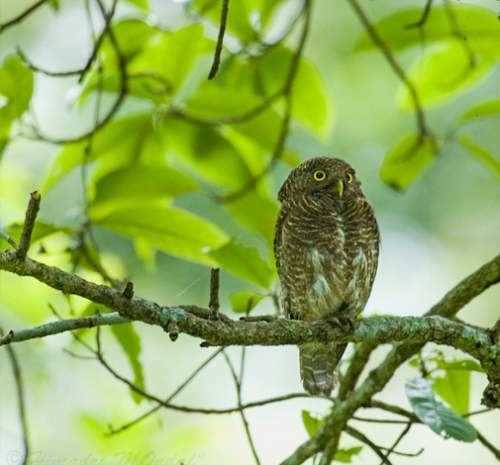 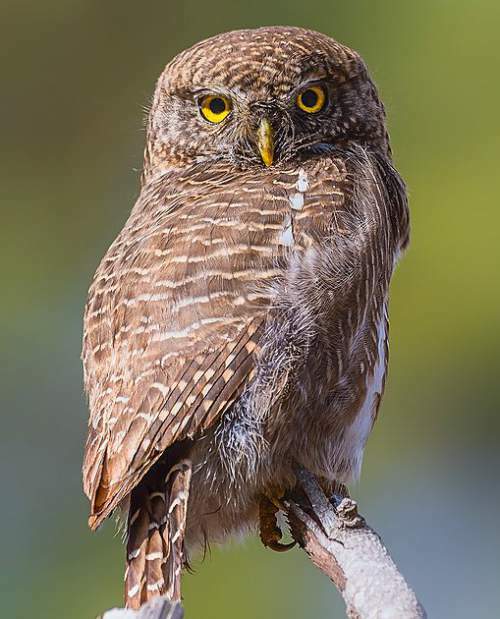 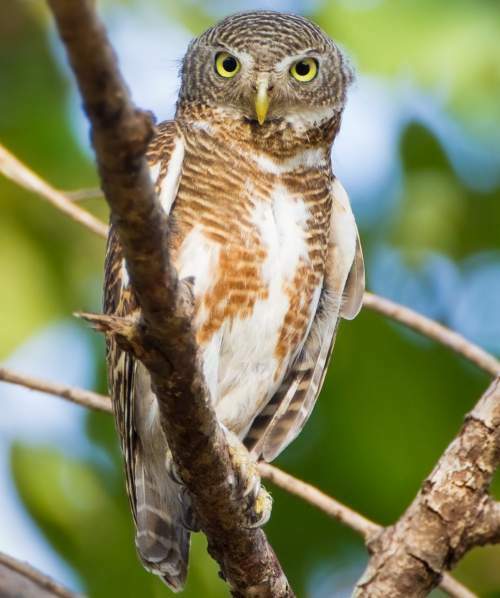 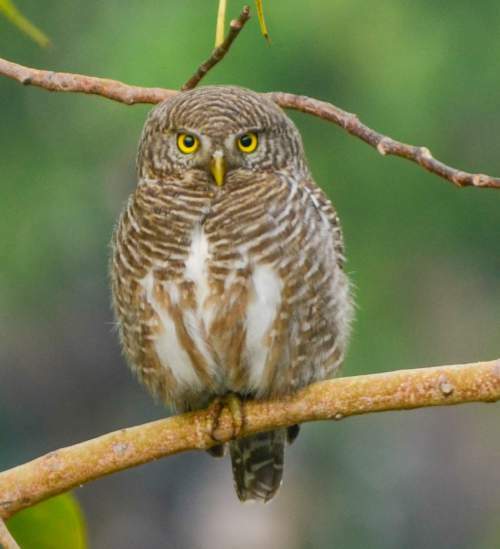 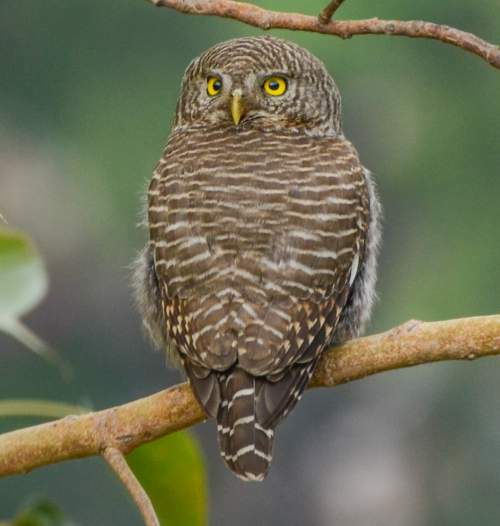 Current topic in Birds of India: Asian barred owlet (Glaucidium cuculoides) photos.